Welcome this stunning modern clock to your home. This piece reads in roman numerals and has a simple but elegant clock face, with the numbers going around in a curved square, there is plenty of style in this clock. 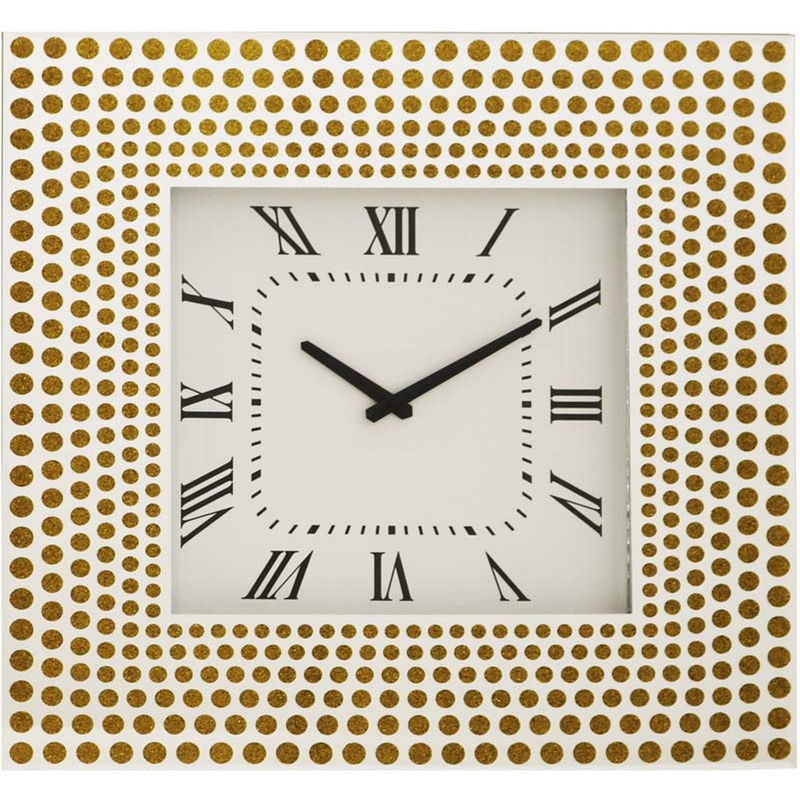 The frame is very unique, this clock has a very contemporary design but it also has a bit of a vintage feel due to the polka dot style and bold colour.